Playing last weekend with Jesse Cahill and Paul Pigat, a.k.a. Cousin Harley at The Whip's Show and Shine. I go to see them whenever I can just to photograph Keith. That is a great face, lots of character. He may haunt my dreams tonight. 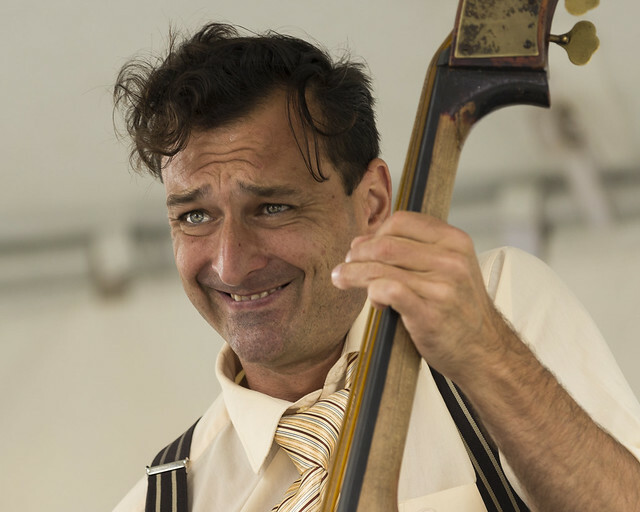 Quite the expression on his face, looks like playing hard on a note on his instrument.